NSF funding enabled extension of the Modeling Workshops nationwide. More than 200 teachers from almost every state in the nation attended intensive four-week Workshops on two successive summers that thoroughly reformed the standard one-year high school physics course. A survey in 2001 found that more than 90% of the active teachers still used the modeling pedagogy that they learned in the Workshops . The FCI helped identify the most effective teachers and thus expand the ranks of qualified leaders for wider distribution of the Workshops. 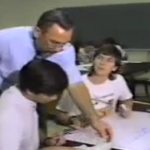 Institutionalization at Arizona State University (ASU) began in 1995 when the Modeling Workshops were adopted as a course in Methods of Physics Teaching for pre-service and in-service teachers. 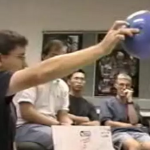 Half of the in-service physics teachers in Arizona have taken at least one Modeling Workshop. This has established common ground for a community of teachers committed to science education reform. Within this community a number of exceptional teachers have emerged who are dedicated and able to serve as leaders of reform.